T his past weekend I had the great pleasure of spending some time with the power couple of beauty, Georgio & Mikaela Fernandez. If you remember, I recently interviewed Mikaela about her work with cancer patients and how LadyLash was making a difference in the lives of everyday women through eyelash applications. Luckily, through some friend connections LadyLash let me into their lives and invited me into their world of glamour for a weekend. Their studio is set on an artsy street on Delray beach, and had been decorated to make you feel like a star with their red carpet and director style chairs. The Marilyn Monroe pictures line the red walls, as well as the couple’s portraits with their celebrity clients that are a reminder of how far they’ve gone. I was intrigued with what this young couple had accomplished in such a short period of time, all while juggling a family of 3 beautiful daugthers, running two studios, launching a new product, and keeping on top of their game! Georgio is known for his amazing transformations with eyebrows and makeup, while Mikaela’s real passion lies in eyelash extensions. I was lucky enough to tag along with Georgio to the amazing Eau de Spa at the Ritz Carlton (their second location) while he worked his magic on some special ladies from CBS 12 anchors Suzanne Boyd, Liz Quirantes and Mayor Frankel from Delray Beach who were preparing for a “Dancing with the Stars” event. When the makeup was done, the women were transformed into the eras of their dance. Their three adorable daugthers which range in the ages of 10 years old to 8 months are also a very central part of LadyLash. They are the drive and passion behind the powerful duo, and its nice to see how a talented family pulls it all together every day for the love of beauty. The man is very passionate about his art. “I’m into making a woman look and feel beautiful. That’s it for me,” said Georgio while we had a small brainstorming session about his upcoming ideas. 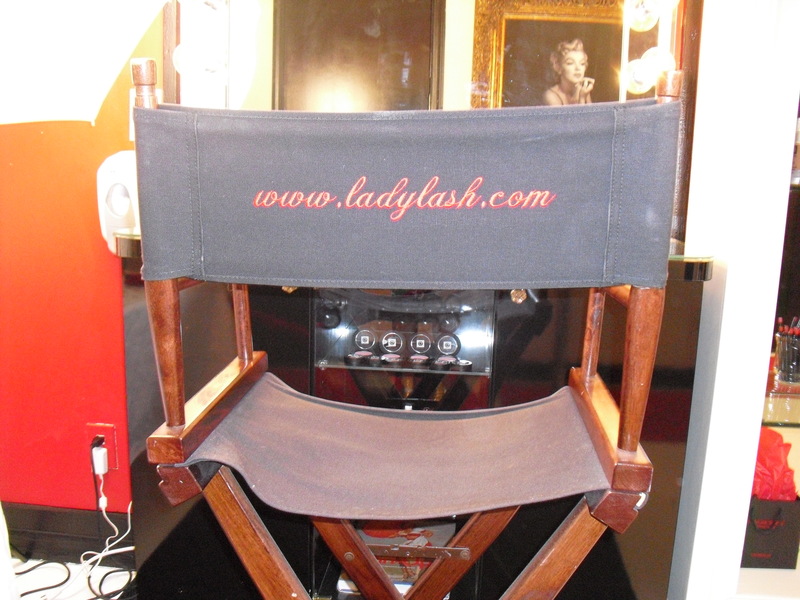 Stay tuned for my next post on LadyLash ! For now, read about what they’re up on their Facebook page.